W&L Presents Author Talk Featuring Harvey Markowitz The talk is free and open to the public, and refreshments will be provided. Harvey Markowitz, assistant professor of anthropology at Washington and Lee University, will give a public talk on Nov. 7 at 5 p.m. in Leyburn Library in the Book Nook. 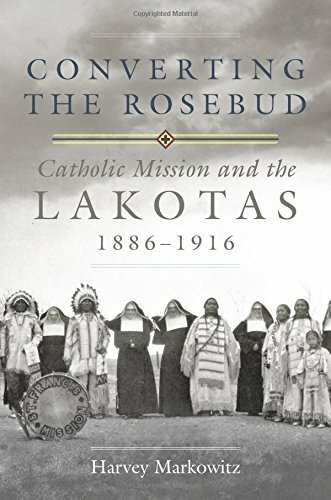 He will discuss his recent book, “Converting the Rosebud: Catholic Mission and the Lakotas, 1886-1916.” The talk is free and open to the public, and refreshments will be provided. Learn more about Markowitz and his book here. This talk is part of the Anne and Edgar Basse Jr. Author Talk Series, and is presented by the University Library.